Being one of the best custom ROMs Paranoid Android has set its own benchmark over the time. This year a lot of updated versions of PA based on Android 7.1.2 Nougat rolled out for all the major devices. Just last month we saw Paranoid Android 7.3.0 in support for various Android phones. Today, continuing the row, we see a final round of Paranoid Android 7.3.1 surfacing for all the supported smartphones. Yes, this will be the final version of the ROM ever based on Android Nougat. Last but definitely not the least, the development team would now work on compiling the latest Android 8.0 Oreo or 8.1 Oreo; most like a Paranoid Android 8.0 version. So, yes everyone’s going to stay paranoid anyway. The latest Paranoid Android 7.3.1 is based on AOSP. It is taking over its previous version 7.3.0. It brings a very important KRACK WPA 2 patch. 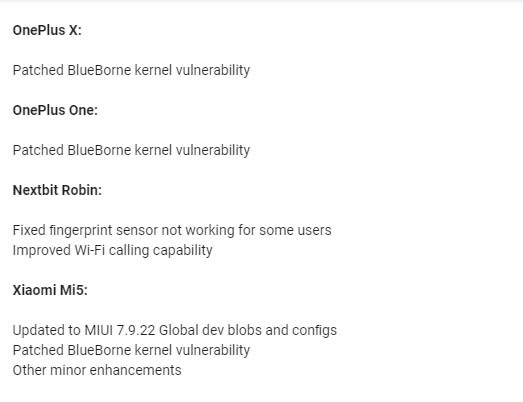 We have already seen the Blueborne and the latest October 2017 security patch updtes coming towards Paranoid Android. You will notice some launcher improvements, battery optimizations, and much more. New features includes Anti-Shake mode feature on Paranoid Camera, more compatibility with third-party camera apps, and much more. As usual, you will notice some device specific updates which are listed below. The latest ROM is available for download for popular Android phones from Google Pixel, Nexus series, Sony, OnePlus, Xiaomi, Le Eco, Nextbit etc. 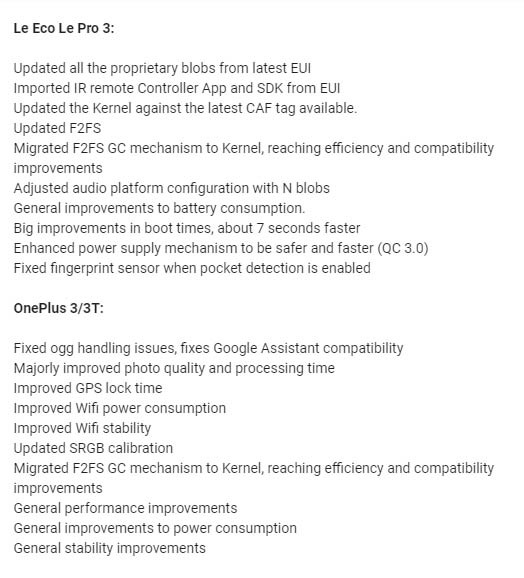 The complete global and device specific changelog has been mentioned ahead in the post. We have also provided the Paranoid Android 7.3.1 direct download links for each device. Remember that your device must have its bootloader unlocked. Also, your device must be installed with latest TWRP Recovery. As usual, like it’s previous versions, Paranoid Android 7.3.1 brings a load of updates for its compatible devices. Let’s see what are the updates in detail. The global changelog features the following changes. 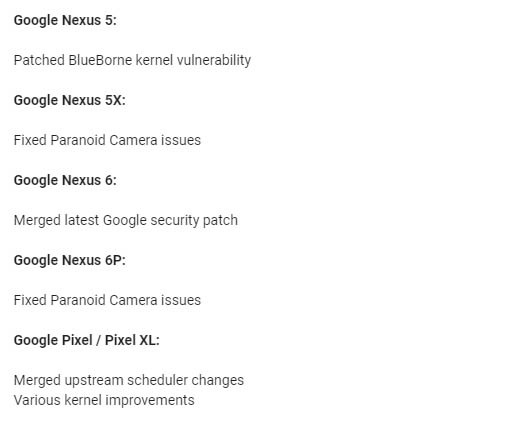 Let’s see the device-specific changelog for the devices that are getting the Paranoid Android 7.3.1 update. Here is the direct and official download link for latest Paranoid Android. The download links for all devices are as follows. Also, you will require latest GApps along with the AOSPA ROM. So to download latest GApps click here. Let’s look at the steps to install Paranoid Android 7.3.1. Follow the link below to get easy and detail steps for installing the latest build of Paranoid Android. Therefore, stay paranoid with latest Paranoid Android till you get more paranoid with the upcoming build of PA for Android 8.0 Oreo. Also, stay connected to AndroidSage to get all latest news, updates, and downloads of Paranoid Android.